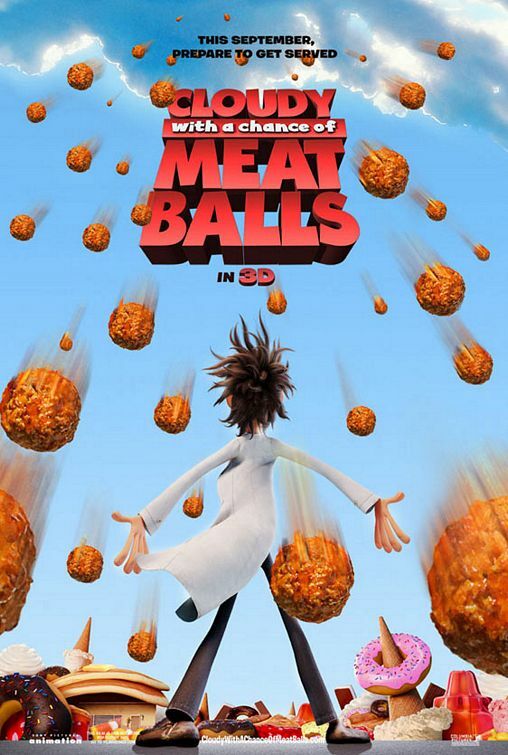 Please note that winning passes to “CLOUDY WITH A CHANCE OF MEATBALLS” does not guarantee admission to the film. You must arrive early as seating is first-come, first-served. It is usually safe to arrive at least 1 hour or more before show time! 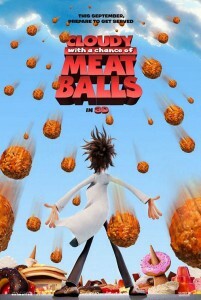 Cloudy with a Chance of Meatballs will be the most delicious event since macaroni met cheese. Inspired by the beloved children’s book, the film focuses on a scientist that tries to solve world hunger – only to see things go awry as food falls from the sky in abundance. In order to enter the contest, simply leave a comment below with why you want to see the movie. Winners will be randomly drawn, and notified via e-mail. The Screening is this Satuday, September 12 at 10AM at the Great Escape Gravois Bluffs. Good luck! We hope to see you at the movie.